Australia's new prime minister will not revive plans to embed carbon emissions targets in law, a thorny issue that triggered the ousting of his predecessor in a party coup. Scott Morrison won a Liberal Party ballot to replace Malcolm Turnbull -- a moderate who struggled to get his conservative colleagues to support the National Energy Guarantee (NEG) -- as leader in late August. Australia is considered one of the world's worst per capita greenhouse gas polluters, and is a heavy user of coal-fired power. 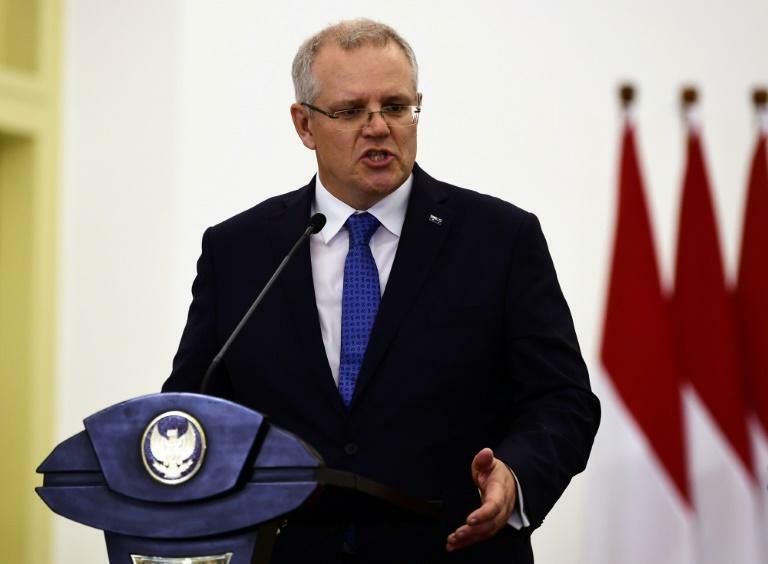 Morrison, who is to the right of Turnbull, said the proposal to help the government meet its Paris Agreement pledge was "dead" and his government would focus instead on lowering soaring electricity prices. "The NEG is dead, long live reliability guarantee, long live default prices, long live backing new power generation," he told the Weekend Australian on Saturday. "Next week we will be putting to rest the issue of the legislation... it won't be proceeding." Canberra said it would still work to reduce Australia's emissions despite a lack of laws to enforce the Paris target. The ruling Liberal-National coalition -- as well as previous Labor governments -- have struggled to introduce climate policies over the past decade amid political infighting and turbulence. Former Labor PM Kevin Rudd's flagship carbon-trading scheme, which aimed to cut emissions by between five and 25 percent of 2000 levels by 2020, was shelved in 2010. Rudd's Labor successor Julia Gillard, faced with a hung parliament, later introduced a carbon pricing scheme in exchange for support from two independents. The Liberals' Tony Abbott, who defeated her in national elections in 2013 and who famously called climate change "absolute crap", repealed the scheme a year later. Abbott's government later agreed to cut emissions by 26 percent by 2030 as part of the Paris Agreement, although he has since railed against the commitment he made. Abbott was also a major critic of his successor Turnbull, who in mid-August was forced to shelve plans to enshrine the NEG in law to appease the right, but was still ousted days later.